I love to make pie. I love to see the faces of people who eat pie. It’s so wonderful and fulfilling to produce a baked good that gives others such joy! I had a brilliant – NOT! – idea to make and sell pies. I made many at Thanksgiving and reaped in the money. But each time I do that I am constantly thinking, “What, are you crazy?” It’s a lot of work and I put love and creativity into each one. I’m not so sure it’s worth it as a very small home business. I suppose if I had a commercial kitchen and people who loved to make pie as I do we could have a team thing going and really do well. Not so sure I want to do that. So, I will make pies whenever the demand for or the orders come to me. No problem. So in 2 days I will be in a car with my husband and son and daughter and their daughter (a 2 year old) on a journey to the east coast. We will stay with our other son and family and I will make them a pie! And we will eat that pie! And we will enjoy that pie! And I will go to the beach and rest and contemplate about that pie and all the joy it brought people and I will be at peace (at piece). 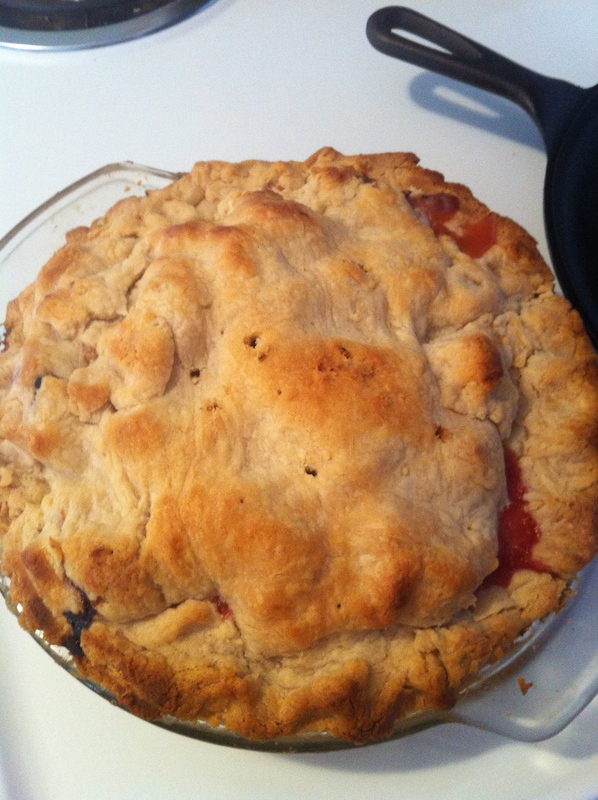 This one is Strawberry Rhubarb. One of my most favorite! 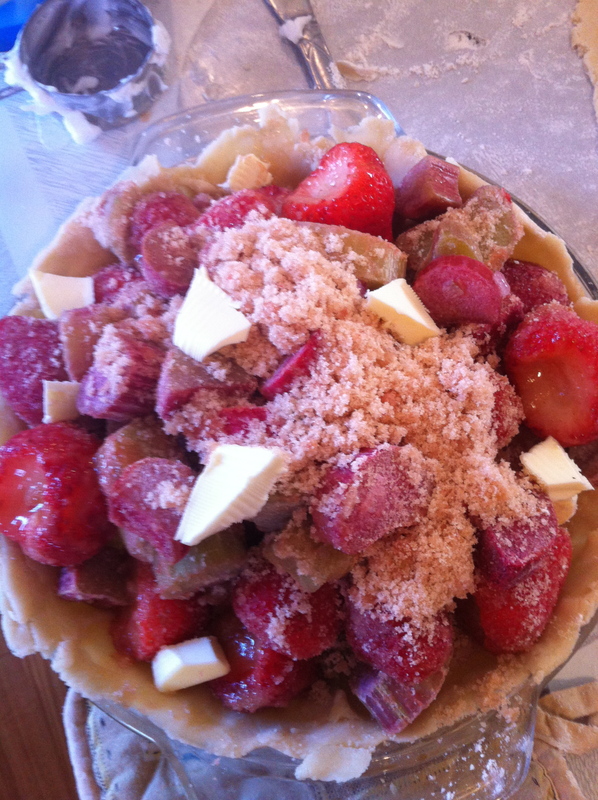 This entry was posted in Random and tagged bake, baking, dessert, pie, rhubarb, road trip, strawberry, strawberry rhubarb, travel on May 13, 2013 by Cate B.
I love pie, it has to be one of my favorite foods, and strawberry rhubarb is actually my favorite! It is! Around here we only get rhubarb for a few months out of the year, so I never get tired of it! Here too – but you can wash it and slice it and out in ziplock freezer bags when it is fresh and it works great year round. I made one for Christmas! They don’t get freezer burn? 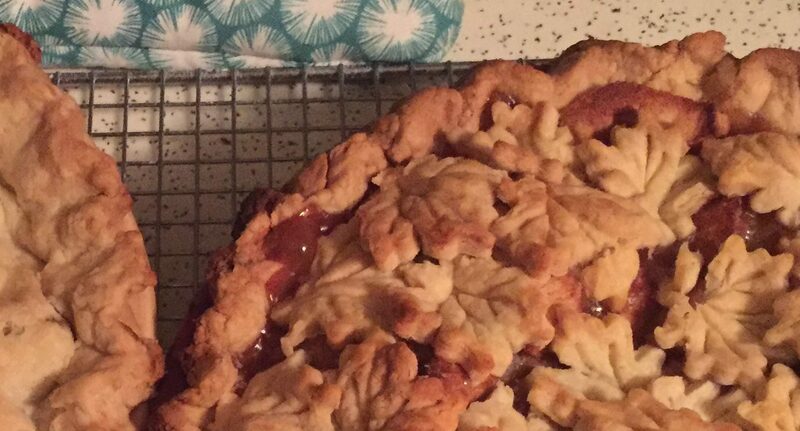 I’m really going to have to do that, and then force my Mom to make it for me every time I come down to visit, I actually have never made Strawberry Rhubarb myself. no freezer burn – just add a little flour – 1- 1.5 tablespoons flour for thickening – it’s great.